Mazda has always worn unconventionality on its sleeve. 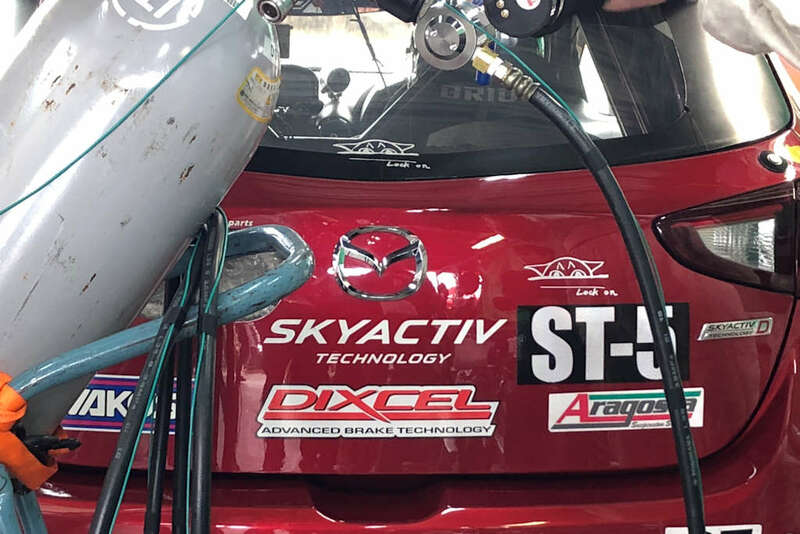 From its hard headedness to bring the rotary engine to life to the development of Skyactiv—a high-compression gasoline engine, the carmaker has always thrown curve ball after curve ball in everything that they do. It shouldn’t come as a surprise therefore that the same philosophy—defying convention—applies even to their motorsports program as well. 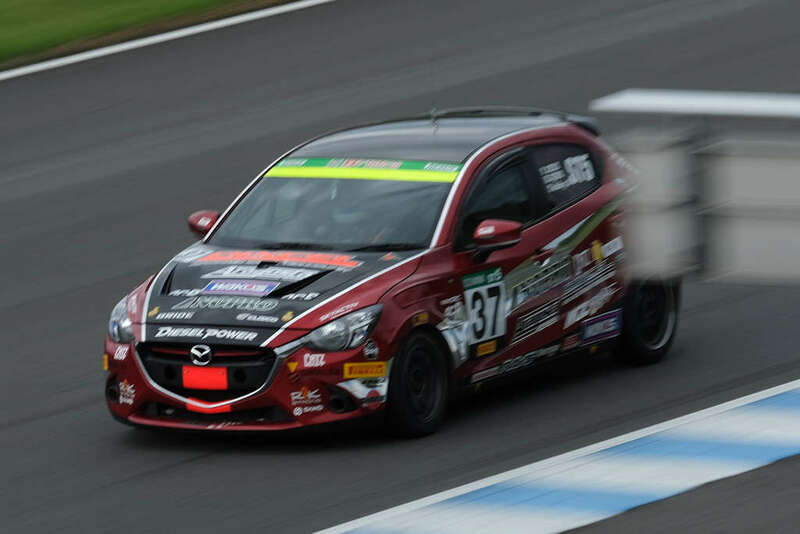 In Japan, Mazda through MZ Racing, has been supporting various teams in the Super Taikyu Series. 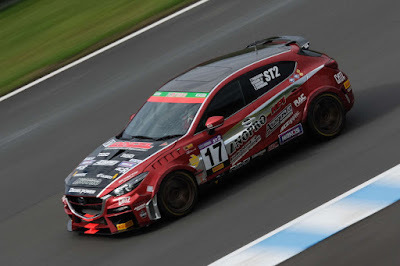 Called “the top endurance race series in Asia,” Super Taikyu is a touring car endurance racing series for commercially-available (i.e. production) cars. 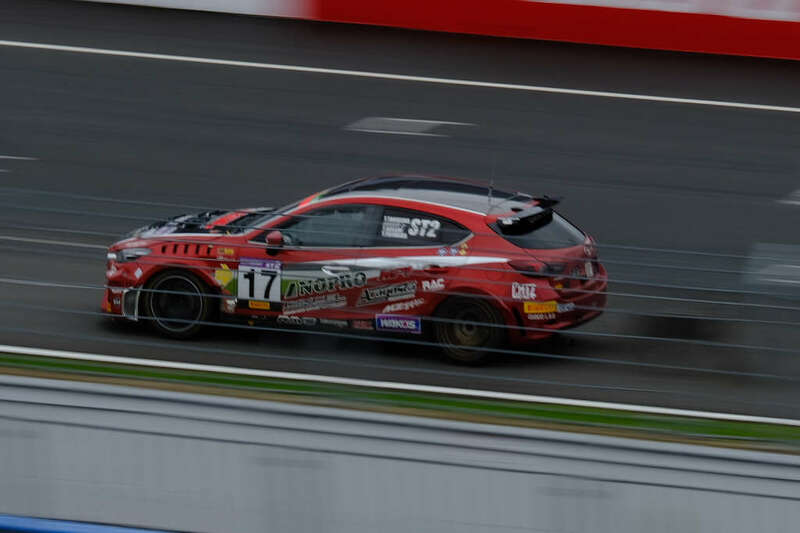 With more than 60 cars making the grid each race weekend, most of them composed of amateur drivers, there are 6 rounds which range from 3 to 10 hours in length. Classified by engine displacement, MZ Racing-supported teams run in the ST-2 (2,001cc-3,500cc 4WD), ST-4 (1,501cc-2,000cc), and ST-5 (1,500cc and lower) classes. Now, whether it’s by chance or choice, a majority of these teams that carry the Mazda brand have their own defying convention story. 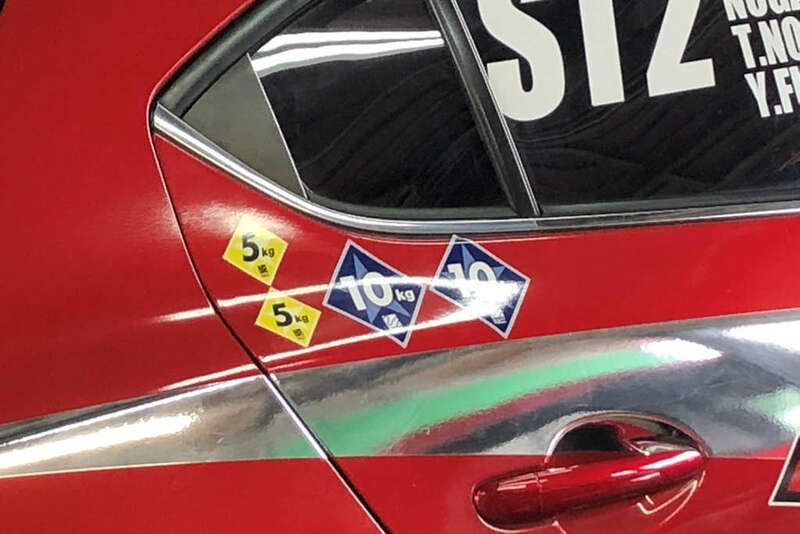 IN the ST-5 class, there’s LOVE DRIVE RACING. 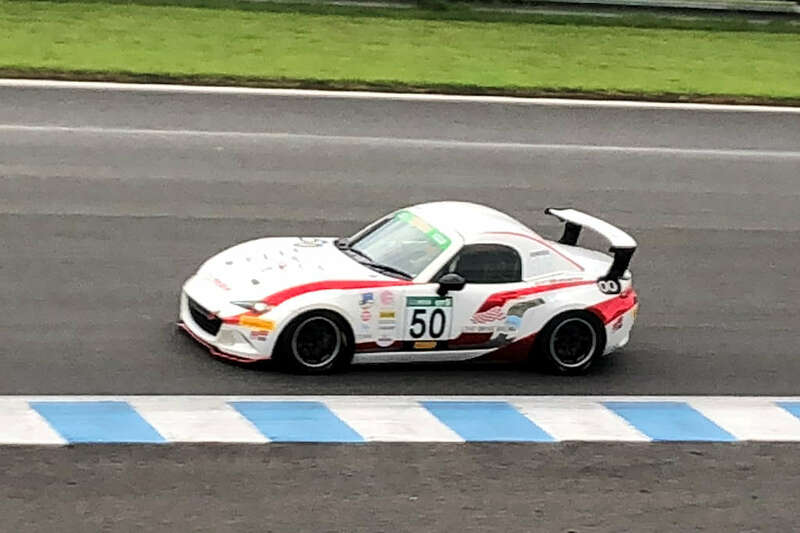 Piloting the Roadster (MX-5), the #50 car is driven by an all-female driver team. 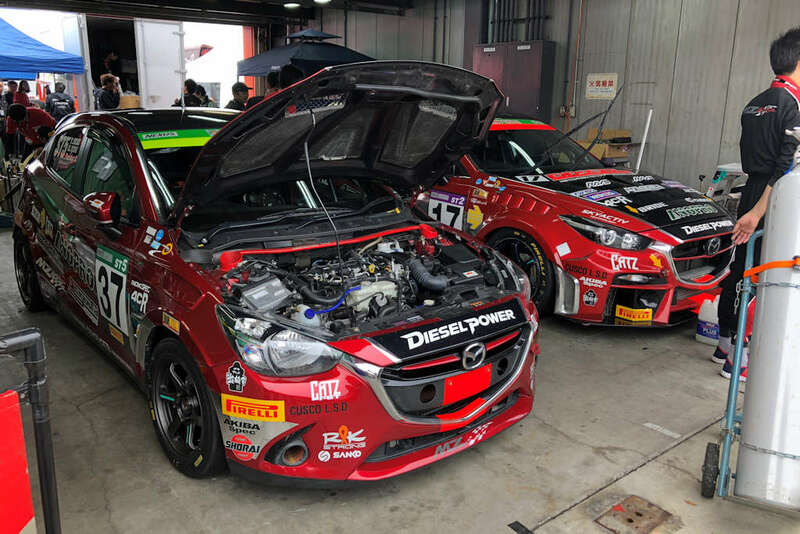 It’s one of the products of the “Mazda Women in Motorsport” project which was established in 2015 in conjunction with Keiko Ihara, a female racer and leading expert member of the FIA’s Women in Motorsport Commission. 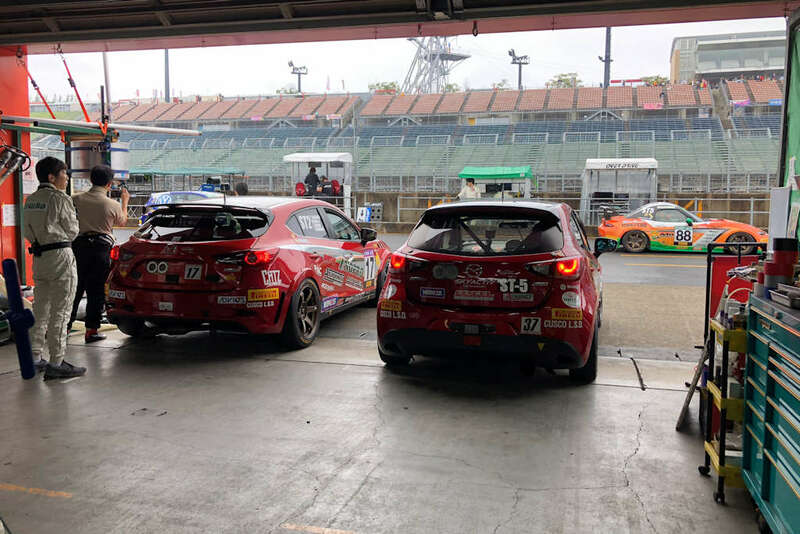 With the goal of increasing the participation of women in motorsports, Mazda has been providing vehicles, training venues, and even support the race participation of exceptionally-talented women drivers. The program has managed to nurture the talent of women in the sport, producing not just drivers, but mechanics and engineers as well. 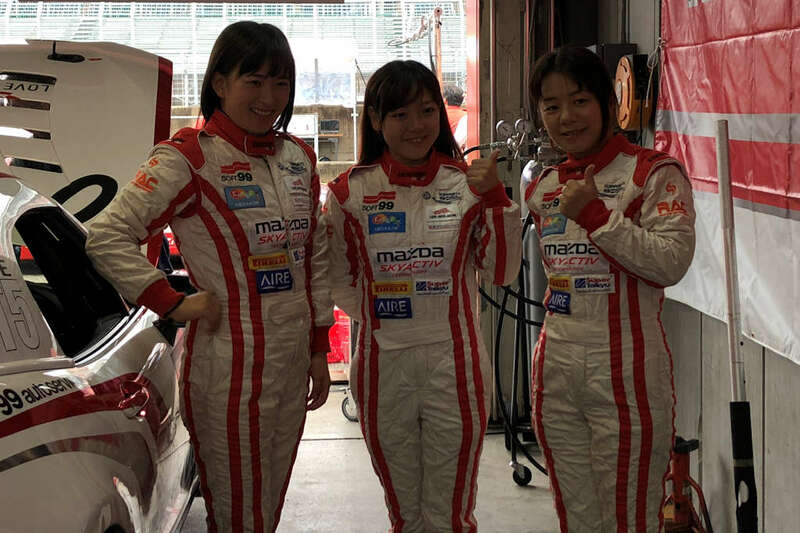 This year, their drivers are Marie Iwaoka, Anna Inotsume, Hiroko Komatsu, and Yumiko Sekizaki. 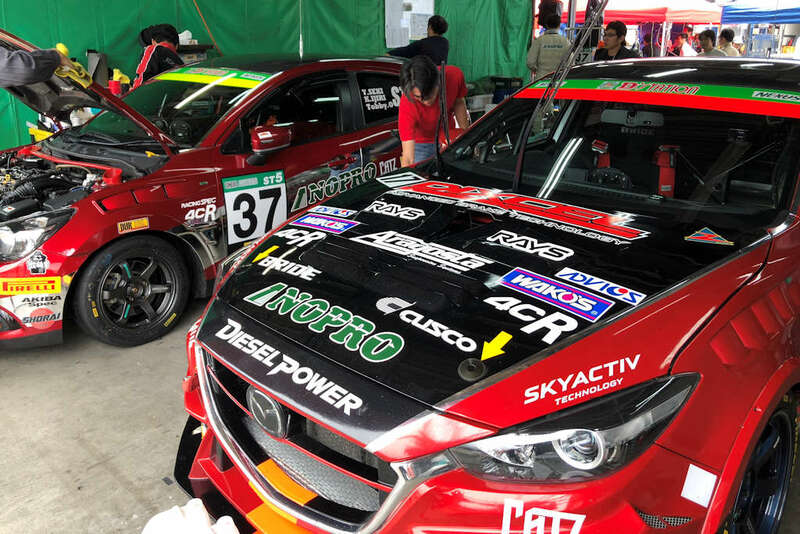 The Demio and Axela, powered by the 1.5-liter Skyactiv-D and 2.2-liter Skyactiv-D engines respectively, go against some pretty intense competition. 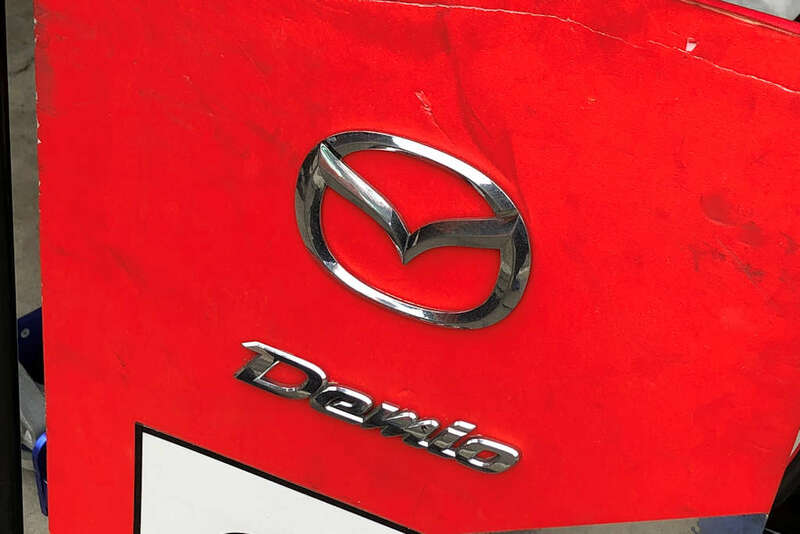 The Demio, goes against the Honda Fit (Jazz) and its stablemate the Roadster (MX-5), while the Axela goes head-to-head with the Subaru WRX STI and the Mitsubishi Lancer Evolution. 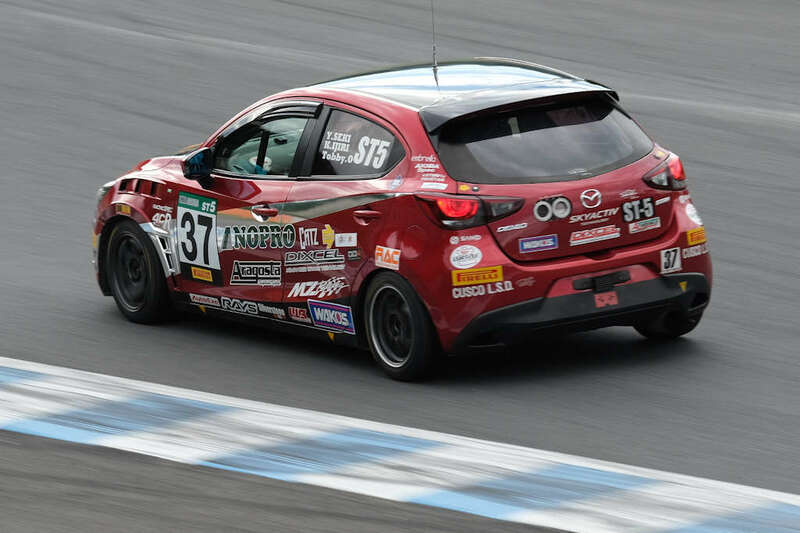 Running off a stock engine (this is a production car racing series after all), MZ Racing keeps the exact power and torque figures a closely guarded secret. However, it’s without a doubt that the diesel powertrain is penalized with a heavier weight (and sadly, a jeepney-like exhaust note) along with a lower peak power (but higher torque) compared to their gasoline-powered rivals. Initially, these diesel-powered race cars were running 10 seconds slower than the top-class ST-X class (aka FIA GT3). However, MZ Racing engineers managed to bring the gap down to less than 4 seconds in subsequent races, clearly demonstrating their ability to squeeze extra performance out of this unconventional drivetrain. 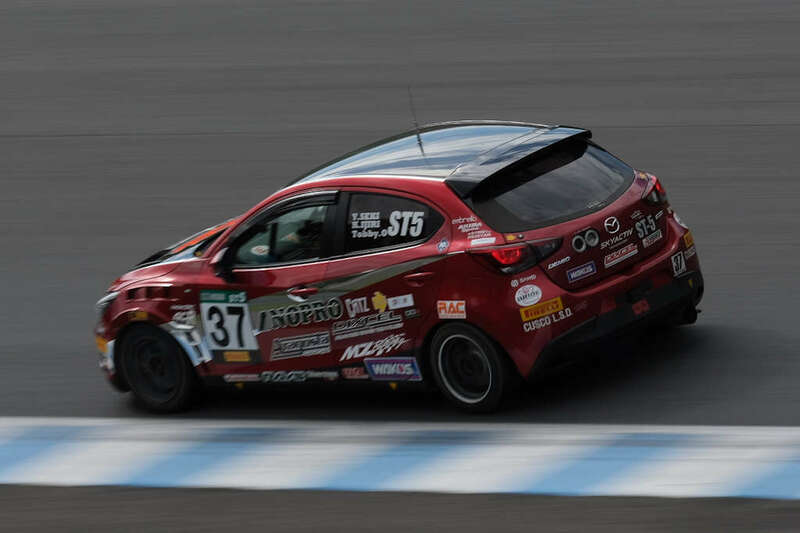 Additionally, because Super Taikyu requires two minimum pitstops, both the NOPRO Demio and Axela have managed to scored impressive finishes, particularly in longer races thanks to its supreme fuel efficiency. 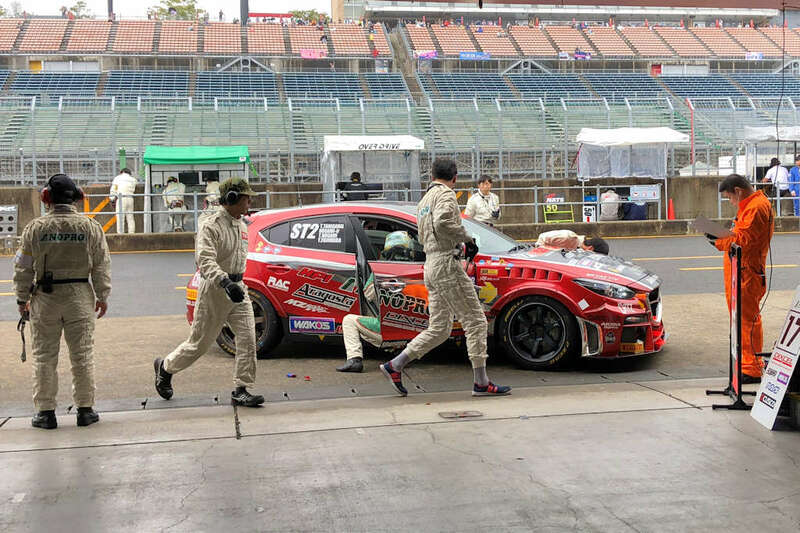 In the demanding world of motorsports, where every fraction of a second counts, Mazda has continued to dedicate themselves to building cars that resonate with their ethos of “defying convention.” The road has never been easy or smooth for them, but they’ve always risen up to the challenge. They’ve always managed to claw the deficit, play the underdog, and come out on top. The extra effort certainly makes it all worthwhile and their cars transform from mere racing machines into a genuine source of pride. Additional Photos by Mikko David.